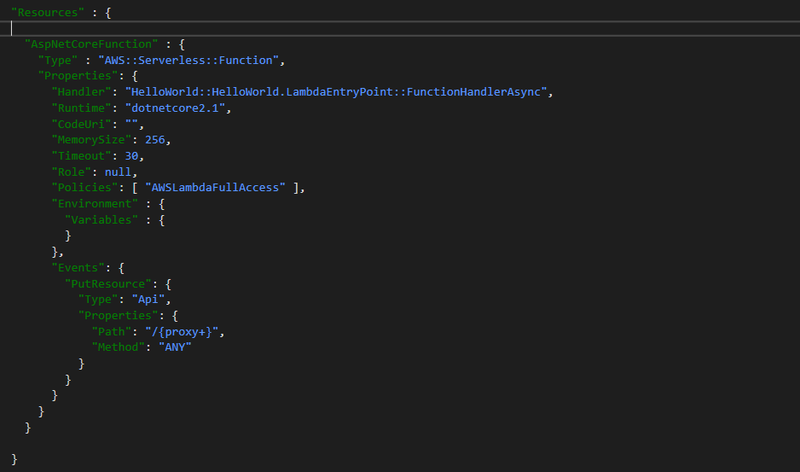 To continue our series on the serverless AWS Lambda webapi, we’ll create the AWS Lambda Project in this tutorial. To create a new project, go to “File -> New -> Project”. You should see all the available AWS projects types in C#. There is a template for Nodejs under root “AWS” as well. 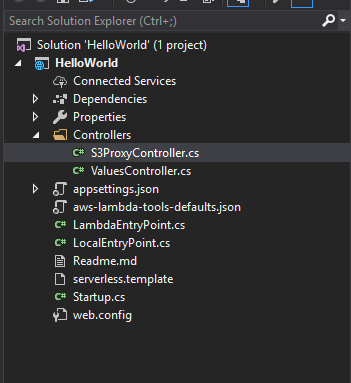 To create an AWS Lambda in .net core, go to “AWS Lambda” under “Visual C#” then select “AWS Serverless Application (.Net Core)” as shown below. Call the project HelloWorld. After clicking create, select a blueprint — basically a template with a base code. 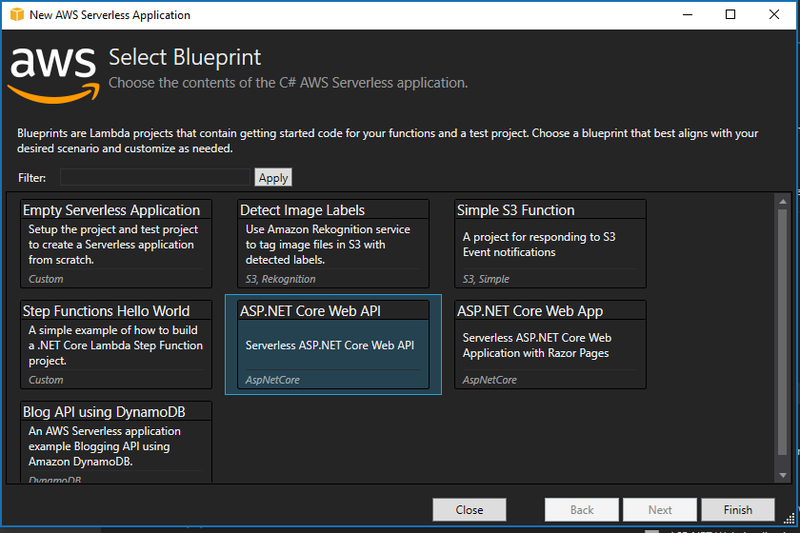 Select the “ASP.NET Core Web API” option and click “Finish”. The structure of the template is very simple. To reach lambda function, go through “API Gateway”. This is a mandatory component to trigger a lambda function from outside AWS. Here, we are not using any auth service, but it is provided in AWS by a service called Cognito. Lastly, as seen below, this template allows the application to save and get objects/files from S3 storage, which isn’t needed in this tutorial. Delete the unneeded files and code to write lambda. Start by deleting the two controllers, then navigate to serverless.template and remove all S3 configuration. Since you deleted the two controllers that came with the template/blueprint, go ahead and create a new API empty controller and call it HelloController. Also, create two Get methods, with and without a parameter. Click F5 to run the webapi locally as any regular .net core app and test it right in the browser. 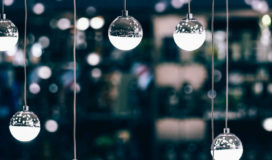 Because this is a Get action, you can navigate to http://localhost:57002/api/hello to get the first greeting, or pass a parameter http://localhost:57002/api/hello/world to get the greeting with a name. Next in our blog series: Operationalize Solution in AWS.